EXCLUSIVE! Oh, the places you will go! 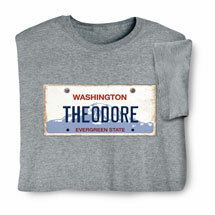 Have you always wanted a vanity license plate? 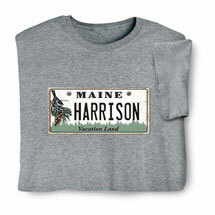 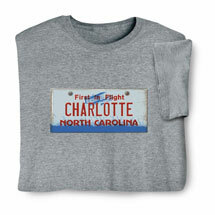 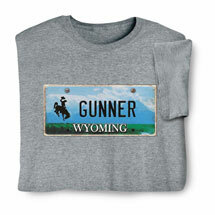 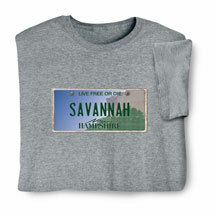 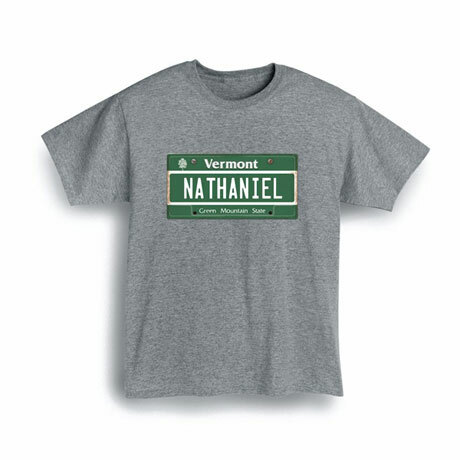 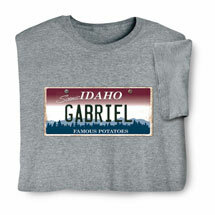 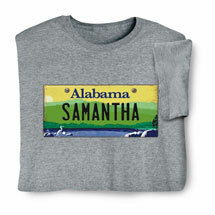 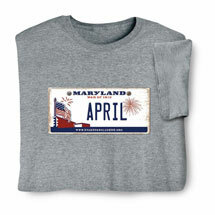 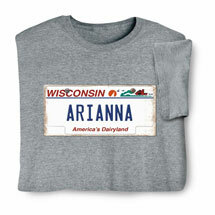 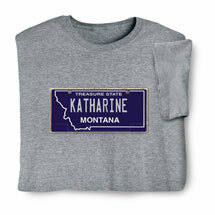 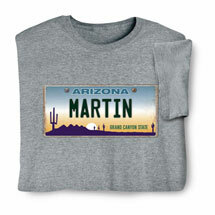 Design your very own and show some state pride with our Personalized State License Plates shirts. Enter your name, funny phrase, or special title to stand out from the crowd. Limit of 12 characters including spaces. Special characters allowed: # and @. T-shirts are 90% cotton/10% poly, sweatshirts are a 50-50 cotton/poly blend. Imported shirts. Printing in the USA. Machine wash. S-4XL. 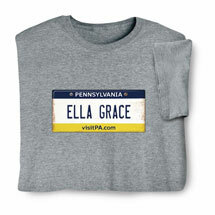 Sport gray color. • All 50 states are included as well as Washington DC.